The spam filter for your Fritz!Box - saves time, money and a lot of nerves! Simply block phone numbers that are rated negative by the community. This allows you to immediately recognize unwanted calls as such. Get now the tellows scorelists with all classified as dubious telephone numbers of the tellows community on your Fritz!Box. By importing the frivolous as rated phone numbers recognizes the Fritz!Box unwanted callers who are known to the tellows community, already ringing. For the phone numbers on the scorelists you can activate a call blocker feature within the Fritzbox, in order to block all those annoying calls. The spam filter for your Fritz!Box - saves time, money and a lot of nerves! 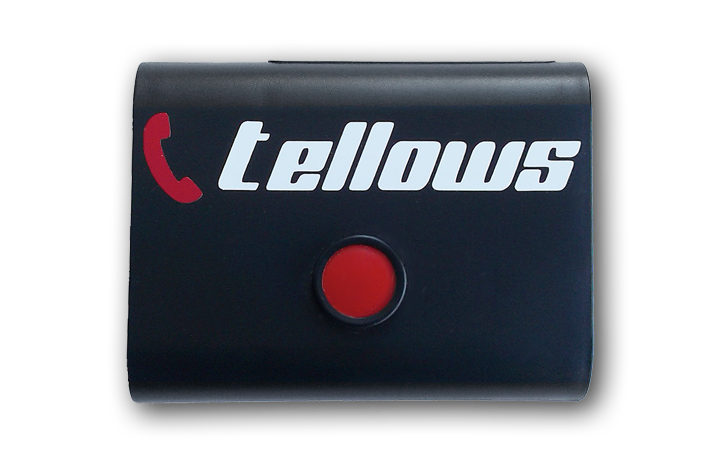 Get now the tellows scorelists with all our telephone numbers of the tellows community your Fritz!Box. This allows you to immediately recognize unwanted calls as such. By importing untrustworthy rated phone numbers recognizes the Fritz!Box unwanted callers who are known to the tellows community, already when ringing. Whether you hang up, reroute the call, or engage the unwelcome caller in a fun conversation and later put the number on the blacklist, you can now decide on ringing! The displayed score also helps you to decide which numbers will end up on the blacklist. For the phone number on the scorelists you can activate a call blocker feature within the Fritzbox, in order to not receive annoying calls anymore. By purchasing the list, you will get the download links to the scorelists for the phone numbers that are rated negative by tellows. You can download the scorelists with the scores 7, 8 and 9 without any problems and import them into the Fritz!Box and thus always have the latest protection! The scorelists correspond to the Fritz!Box phonebook format. The largest communtiy for phone numbers, with over 40,000 records and 1.3 million visitors per month makes the call blocker and spam filter for the phone so successful! The scorelists contain selected, active numbers that have been reported to tellows. Every day, hundreds of reviews are submitted to tellows, who are then considered for the scorelist. How do I get the lists? After purchase you can download the access data to the scorelist via your download area in the tellows shop. To do this, click on the link in the download area of ​​your user account. A PDF file is downloaded. When you open it, you have access to the scorelists. There you will find the download links for score 7 and score 8-9. You can insert and execute these links in your browser address bar or simply click on them. The most recent scorelist is then automatically generated and downloaded. How do I import the lists? Note: For importing the tellows scores on the Fritz! Box admin rights for the web interface on the Fritz! Box must be present. We guarantee the function only for the Fritz! Box types that are available. We assume no liability for damage to the device by creating or importing the tellows entries in the Fritz! Box Phonebook. To view the tellows score on your phone's display, it must be able to see more details about a phone number. The persistent ringing has an end - use the scorelist as a blacklist! The scorelists can be linked to your tellows user account. Negatively rated numbers immediately are added to your personal blacklist. It's important that you login to the website or link the app with your tellows account. Your personal blacklist contains all the numbers you've rated negatively (regardless of the ratings of other users) and, of course, all the other phone numbers rated on tellows. Note For importing the tellows scorelists to the Fritz!Box, admin rights for the web interface must be available on the Fritz!Box. We guarantee the feature only for the Fritz!Box types that are listed above. We provide no liability for any damage caused by the creation or import of the tellows entries in the Fritz!Box. To display the tellows score on your phone's display, you need a phone with that aloows displaying extended caller information about a phone number. tellows UG offers its services exclusively to consumers in the sense of the 13th Civil Code (BGB). The use of the serivce for profit or other commercial purposes is excluded. If you would like to use the tellows scorelists commercially, please contact us directly. I downloaded the scorelists - what now? I'll never receive calls again? Unfortunately no, because call centers constantly change their numbers to avoid being blocked. However, a regular update of the lists may lead to a relaxation of the situation. The scorelists are basically not a blacklist per se, but rather they serve to show the person being called the type of incoming call to respond accordingly. How do I keep the scorelists up to date? Just download the scorelists again and import them once a month as usual. Thus, you always have the currently most active phone numbers. Downloading the lists is of course free of charge. Which Fritz!Box types are still compatible with the tellows scorelists? For all Fritz!Boxes mentioned above, the scorelists were checked for their functionality. Basically every Fritz!Box with telephone feature should be able to do so. If you would like to be a tester, please contact our customer support. The license term of the tellows scorelists is 2 years.